When a case of animal abuse comes to light, the first reaction is to point fingers. But does a judgmental attitude help or hinder the cause of animal welfare? Animal welfare issues are increasingly at the forefront of the national news lately. Breeder raids, dogs in deplorable conditions, stray dogs, injured dogs, dogs turned in to shelters by their owners. Dogs dumped at the side of the road by the very person they trust to care for them. Such incidents of animal abuse and neglect are covered on TV or in the newspapers on a regular, ongoing basis. Pictures are often included to support the claim of neglect or abuse. Is this really the way we treat "man's best friend"? With all this sensational reporting in the media, we may tend to develop a skewed perception of the treatment of dogs in the USA. We might forget that the vast majority of Americans love their animals and would never abuse them, at least not intentionally. We believe that animals should be treated humanely, and most of us support animal welfare. Concerns for animal welfare have promoted a general awareness of the need for proactive rescue efforts in order to prevent shelter deaths. The public has rallied to the cry to seek out their next pet from a shelter or rescue, to the tune of about four million animals "adopted" each and every year. Sometimes in the zeal to promote animal welfare, animal advocates may cross into the territory of the Animal Rights philosophy. As society has become more urbanized and we have less contact with our agricultural roots, people may begin to confuse animal welfare with animal rights. It is important to distinguish between the two. Animal rights is a philosophy that animals have rights similar to or the same as humans. True animal rights advocates believe that humans do not have the right to "use" animals in any capacity. They would prohibit raising of animals to produce meat, leather, wool, feathers, fur, eggs, milk and honey. The would also ban hunting, fishing, rodeos, horse racing, circuses, life-saving medical research using animals, petting zoos, marine parks, breeding of pets, use of dogs for police work, hunting, herding, as well as “seeing eye” and other therapy dogs. In short, any use of animals for industry, entertainment, sport, recreation or companionship would be banned under the animal rights philosophy. Prominent animal rights groups include PETA (People for the Ethical Treatment of Animals) HSUS (Humane Society of the United States), IDA (In defense of Animals), SHAC (Stop Huntington Animal Cruelty) and Mercy for Animals. These so-called “animal rights” groups have a definite, well-planned agenda in raising the issue of perceived animal abuse in the media. The "AR" groups wish to promote excessive regulatory legislation under the guise of controlling animal abuse. The animal rightists’ goal is to make animal ownership incrementally more expensive and inconvenient. In so doing, they will achieve an overall decline in animal ownership in society. PETA claims on their internet homepage, “Animals are not ours to eat, wear, use for entertainment…” However, the animal rights hypocrites at PETA do not have any genuine concern about animal welfare. PETA manages to kill thousands of defenseless pets every year at their Virginia headquarters. Since 1998, PETA has killed 25,840 adoptable dogs, cats, puppies, and kittens instead of finding them homes. In contrast, other shelters in the area save the majority of their intakes. PETA employees admitted picking up puppies and kittens from local veterinarians' offices, supposedly to "help" get them new homes. Instead, they killed them in the van and then dumped the bodies. They never even made it out of PETA's van! This horrific activity went on for months. These PETA employees were subsequently convicted of "littering" dead animals in various dumpsters in their area. The animal rights groups are well-funded, well-organized and well-staffed, and they utilize effective methods to shape public opinion. These methods include intimidation, such as boycotts of pet stores and furriers, aggressive media rhetoric campaigns. At times they resort to outright terrorism such as physical attacks on scientific researchers, and highly-publicized (though invariably illegal) raids on breeders, in order to achieve their goals. The Animal Rightists (or perhaps they should be called "Animal Wrongists”?) have become experts in twisting public opinion on animal issues, including dog breeding and selling. Such activities are now widely regarded in an unfavorable light by the general public. But it isn't just the animal rights groups who sling arrows at those with animal interests. Dog hobbyists, pet owners, rescue leaders, and members of the public are often among the most vocal critics of perceived animal abuse. When dogs are given up, it's not uncommon for rescue personnel to criticize those who relinquish their dogs, and snicker at their reasons as "lame excuses". In reality, the purpose of shelter and rescue in our society is not to point fingers with disdain at the public, it is to find homes for adoptable dogs. Neither a condescending attitude nor playing the blame game will help animals find homes. Nathan Winograd, an shelter expert who is pioneering No-Kill sheltering methods in this country, believes that the focus should be on positive programs that save lives. He has demonstrated in community after community that changing attitudes can dramatically reverse the killing tide and help to solve the challenges of pet homelessness. Dwelling on the reasons that pets are relinquished does nothing to solve these problems. We should encourage more families to adopt pets rather than place roadblocks on the path to adoption. Innovative social programs are the keys to success. Such methods as foster care, extended shelter hours, promoting outside adoptions, and behavior rehabilitation programs have been used very successfully in many areas where they have made the commitment to implement no-kill sheltering. Blaming the bogeyman of "irresponsible owners" is a waste of useful time and energy, and has no place in a successful shelter program. When we blame the public for animal sheltering problems, we fall into a similar mindset as that which is used by the sheltering industry when they kill animals. "If only people were more responsible, these animals would not have to be killed" is a common reasoning held among shelter workers. Indeed, this attitude is one that animal shelter personnel share with the animal rights groups. Animal rights groups such as PETA and HSUS further believe that "killing is kindness" to quote PETA's president Ingrid Newkirk. And kill they do, all the while blaming the irresponsible public. The HSUS even offers seminars for animal control departments in which they urge that animals in shelters be killed as soon as any mandatory holding period expires. Playing up the "irresponsibility" of the general public makes a great excuse to continue to kill thousands of animals, and to raise more obstacles to pet ownership. And, many of the reasons for pet relinquishment are not due to irresponsibility, but are the result of legitimate social problems. There have been studies done on the "official" reasons that pets are relinquished to shelter or rescue. The reality of life today is forged by economics. The #1 reason for pet relinquishment is cited as “moving.” High rates of unemployment and home foreclosure contribute to this phenomenon. Unfortunately, financial problems may mean that some pets must be re-homed out of necessity. Pets may also find themselves in need of shelter or rescue due to other unforeseen circumstances such as sudden death or incapacity of the owner. Behavioral problems are rarely cited as a reason for relinquishment, but issues such as excessive barking, difficulty with housebreaking, destructiveness, and incompatibility with children are common reasons for the honeymoon with a pet to end. When people are confronted with a behavior problem that they can't solve, what happens? Many times the dog is given up....or maybe even taken to a distant location and dumped out of frustration on the part of the owner. To help get pets into the most compatible homes and keep them there, animal welfarists know that public education and support programs are critical. Most individual breeders and breed rescue groups provide educational information about the requirements of their particular breed and are able to advise would-be owners on whether the breed or individual dog in question would be a good match for their particular situation. A good breeder can also serve as an invaluable resource person who the pet buyer can turn to when they have questions or problems. When adopting a shelter or rescue dog of unknown parentage and background, advice and support may also sometimes be needed and there are limited resources for such help. The California Federation of Dog Clubs has recently developed a brochure with training tips including basic obedience, housebreaking and leash training. We also have established a 1-800 help line for people to call if they have questions or problems with their dog. This brochure is now being distributed to all the shelters in our state, so that new owners can have a resource and reference when they adopt a new dog. This is another example of proactive methods employed by animal welfare advocates. Let’s try to solve the problems involved with re-homing dogs without looking to find fault and blame in the situation. Such attitudes are nonproductive and can in fact be used as part of the propaganda to further the anti-ownership, pro-killing agenda of the animal rights movement. Animal Rights clubs in our schools! Our local high school is sponsoring an "animal rights" club as an extracurricular activity. The issues surrounding the philosophies of animal rights and animal welfare are very familiar to those who work with animals in industry, entertainment, sport or recreation. As society has migrated from our agricultural roots to a more urban existence, the importance of distinguishing between animal rights and animal welfare becomes critical. Animal rights is a philosophy that animals have rights similar to or the same as humans. True animal rights advocates believe that humans do not have the right to "use" animals in any capacity. They would prohibit raising animals for meat, milk, eggs, leather, fur, feathers, wool, or even honey. They would also ban rodeos, horse racing, circuses, hunting, life-saving medical research using animals, petting zoos, marine parks, and the breeding of companion animals as pets, police dogs, seeing eye dogs and working dogs who help with hunting and herding on farms. In short, any use of animals for industry, entertainment, sport or recreation would be eliminated. Animal Welfare, as defined by the American Veterinary Medical Association, is a human responsibility that encompasses all aspects of animal well-being, including proper housing, management, disease prevention and treatment, responsible care, humane handling, and, when necessary, humane euthansia. Animal welfare uses science-based care and treatment guidelines in caring for animals. Impressionable high school students should be aware of the true nature of PETA and other "animal rights" groups. They are hypocrites. the area save the majority of their intakes. PETA president and co-founder Ingrid Newkirk has described her group's overall goal as "total animal liberation." This means no meat, no milk, no zoos, no circuses, no wool, no leather, no hunting, no fishing, and no pets (not even seeing-eye dogs). PETA is also against all medical research that requires the use of animals. I hope our high school students will do a bit of research into the differences between animal rights and animal welfare and not blindly follow vegan teachers with an animal rights agenda. Do Pet Store Dogs Fill Shelters? Wonderful! Actual problem-solving in action! Good to know that there are some people out there who are interested enough to investigate and find out the truth about owner-surrendered animals and where they originate. Here's another study. 3.9% of the shelter intakes originated at pet stores. Check out Table 2. But then, that's not surprising, is it? Pet store puppies are just a small percentage of the market in the US. Reproduction. It's a GOOD thing. Here's a frightening concept. An "animal lover", Dr. Loretta Mayer, is working on non-surgical sterilization. The photograph is a bit absurd, isn't it? 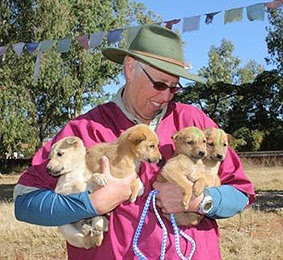 Dr. Mayer holding a litter of four pups. She won't see many puppies in the future if her project is successful. We're talking "one generation and out"....possibly for the entire animal kingdom! A Flagstaff, Ariz., scientist may have discovered a nonsurgical way to sterilize dogs — an advance that would revolutionize animal shelter medicine and address many states' canine overpopulation problem in the process, according to one veterinary expert. Dr. Loretta Mayer was looking for a way to artificially induce menopause in mice so they could be used to study human diseases when she and another scientist developed a drug that they realized also could be used to sterilize female dogs, removing the need for painful and expensive surgery. Oh joy! We can now address the (nonexistent) problem of pet overpopulation in the US. Nice! Soon any HSVMA member veterinarian, or vet tech on a sterilization crusade will be able to sneak your dog a sterilant-laced treat, and you will be none the wiser. Heck, I can see this wonderful new technique being applied to competitors at dog shows, and used by neighbors who might find it amusing to neuter your dog without your knowledge. Just think, no proof of wrongdoing, no need to worry about leaving evidence lying around....the perfect crime for a nut with an agenda! Although the drug is years away from being approved by the Food and Drug Administration, Mayer will soon return to India, where she has been working to eradicate the spread of rabies in stray dogs there. Gosh, haven't they heard of rabies vaccine in India? Seems like that would do the job just swell. It's worked everyplace else it's been tried. Mayer also wants to eventually introduce the drug into Arizona and recently persuaded the state Legislature to alter state law to allow animal shelters to use non-surgical means for sterilizing cats and dogs. 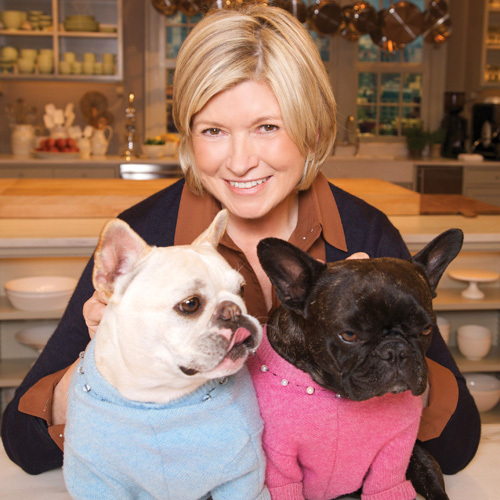 "I think that a lot of folks would rather give their dog a pill than make them have surgery," Mayer said. I'll just bet! As discussed above. Dr. Nancy Bradley, director of medical services with the Arizona Humane Society, said previous non-surgical sterilization products have had mixed success. But, she said, if one proved to be safe and successful, she would use it in a heartbeat. "I would really like to see us do things that improve our environment and are compassionate to other beings," Mayer said. "My passion, without question, is to stop killing animals, however we might do that." Win-win! We could even skip to the chase and spread plenty of this wonder drug out in the wilderness immediately, maybe get it into the general food or water supply, and viola! One generation and we are ALL out. Wayne Pacelle would really like that. Only plant life such as vegetables, soy and the like, might remain. Possibly. If this sterilant did not prevent plants from forming seeds. Hmmm. That would really help the planet, to get rid of ALL carbon footprints! No more pitter-patter of ANY little feet! Brilliant! "There is a very long timeline in this project," Mayer said. "Each and every one of our products takes years to develop." Patience, Dr. Mayer! Once the technology is available, extinction shouldn't take too long. Just one generation! It seems that reproduction is widely viewed as an udesirable activity. America Humane Association recently awarded a $25,000 grant to the Alliance for Contraception in Cats and Dogs to develop a nonsurgical sterilant. And Gary Mickelson's "Found Animals Foundation is offering up to $75 MILLION to researchers for development of non-surgical sterilant for cats and dogs. Maybe the Dear Doctor is motivated by more than just her love of animals. Once again we get the bullcrap line about the shelter in LA killing for lack of space, about breeding being the reason for shelter intakes, and the lies about spay-neuter and health. Recently, Angelenos expressed their concern that Los Angeles Animal Services (LAAS) still puts animals to death for lack of space. They took action for positive change and reported neighbors and people advertising puppies online to LAAS. LAAS officers went to the locations and found litters of puppies and unlicensed adult dogs –- German Shepherds and Pit Bulls. The owners were handed citations for breeding without a breeder's permit and failure to license their dogs. 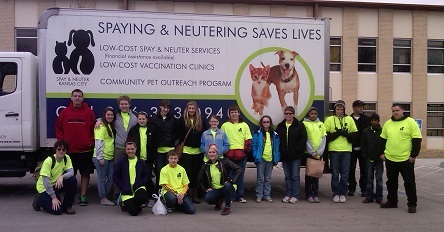 They were also provided with information about low-cost spay/neuter services. LAAS will follow-up to make sure that compliance is complete. The concerned citizens who blew the whistle understand that unplanned or accidental litters must be stopped and the Spay/Neuter Ordinance must be enforced. They have volunteered to continue finding and reporting these unlicensed breeders to the Department. We have other concerned citizens who have offered to help stop backyard breeding other ways, and we are grateful for their aid. The breeding must be stopped as a way to prevent the animals from entering the shelters, which would help abolish the unnecessary euthanasia of healthy and wonderful pets. Make sure your dog's license is current because it protects your dog if he/she accidentally gets out and gets lost. License tags give you the peace of mind to know that LAAS will be able to reunite you with your pet if she/he is turned in by a Good Samaritan or is picked up by one of our officers. It is not only a great safety net for your dog, it is the law. Fees: Spayed or Neutered: $20.00 with proof of rabies vaccination and proof of spay/neuter. Unaltered dogs (not spayed or neutered): $100 License plus $235 breeder's permit fee (some exemptions may apply). Call LAAS at 888-452-7381 or visit our website at http://www.laanimalservices.com/ to find out how you can get your dog licensed. There may be a time when a gate or door is not firmly closed and the pet escapes. Pet owners do not think to leave the pet's tags on when the pets are inside the house or out in the yard, or when a pet is being given a bath and the collar is removed. A microchip is added protection for a lost pet and it can be scanned at a Vet's office or the shelter. Remember to keep it current. Get your companion animals Spayed or Neutered – A Change for the Better! Spayed/neutered pets are less likely to want to roam away from home, which means they are less likely to get lost, hit by a vehicle, or get into a fight. They can live twice as long and they are less likely to develop certain cancers. This means lower medical bills. If you have a DWP Bill indicating "Lifeline" or "Low Income Discount," you qualify for a voucher for FREE spay/neuter for up to three dogs and three cats that are your companions. Call LAAS at 888-452-7381 to find out how you can get your spay/neuter vouchers for your pets. All City residents qualify to receive discount spay/neuter vouchers. The mission of the Los Angeles Department of Animal Services is to promote and protect the health, safety, and welfare of animals and people. Call us at 1-888-452LA-PET1/1-888-452-7381 (TTY Hearing Impaired: 877-875-8205) or visit the website at http://www.laanimalservices.com/ to learn more. SB 917, the bill that would criminalize someone who would sell or give away kittens or puppies at the local market, was signed into law today by Governor Brown. The criminal animal cruelty statute now will include public sales of animals, making sales a misdemeanor offense right up there in the same league with beating, maiming, and torturing. Sadly, this means that people will be afraid to place animals at all, and instead of animals finding homes, more dogs and cats will become homeless, to starve or be hit by a car; or, they might end up in the local shelter where they will add to the death toll. The good Samaritan who attempts to find homes for the litter of kittens under his porch would end up with a criminal record. Nice, huh? One would think that a former Attorney General for the state would see this bill for what it is....a mockery of justice. We've got nothing more important to do than criminalize more and more people? The courts aren't crowded enough? Perhaps Brown views more criminals and potential criminals as job security for government workers. We'll have a fine time rounding everybody up and punishing them. And get paid for it, too! 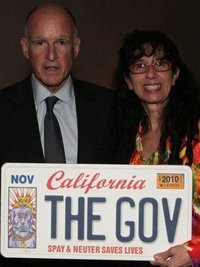 Good ol' "Governor Moonbeam" Brown....wiser? Nah, just older. Los Angeles now to kill dogs for their "potential"
Los Angeles just doesn’t seem to have enough pressing issues to keep the board of supervisors occupied. Now they are busily dreaming up new ways to harass dog owners, and looking for excuses to seize and kill more dogs. KNX 1070′s John Brooks reports animal control officers will now have the power to seize an animal simply for chasing someone. But if a dog is determined to be a “significant threat to the public health, safety and welfare,” animal control personnel can destroy the dog under the new ordinance. OK let me get this straight. If my dog does the job that it’s bred for and chases off a burglar, it can now be declared a dangerous dog? And destroyed? Hey, why stop at a dog that chases? Barking, growling and baring teeth can also be considered menacing. I suppose if an AC officer tries to enter my property and is chased, then the dog will be subject to a death penalty? The law also sets up a more cost-effective administrative hearing process, one that won’t call on the Superior Court to resolve disputes over whether the picked-up dog was in fact dangerous. Heck yeah. Why worry about whether the dog is in fact actually dangerous? Just kill him. An uneducated animal control officer is obviously going to do a better job adjudicting these matters than an actual REAL judge. Is there any place on the planet more dog-unfriendly than Los Angeles? Perhaps a good candidate for the title would be the People’s Republic of China, where they club dogs to death by the thousands instead of vaccinating them for rabies. But hey, give LA time. They'll get down to clubbing dogs soon enough. Or maybe shooting them where they stand. After all, that would be way more cost-effective than impounding them. Not surprisingly, the People’s Republic of Los Angeles is travelling down the same path as the People's Republic of China. My dog sure as heck better chase anyone who is a threat to me and my family. And for the government to suggest that he should be killed for doing his job is obscene. A fallacy is typically defined as, "A mistake in reasoning; a type of argument that may seem to be correct, but that proves upon examination not to be so." Take for instance the very common popular premise that "Spaying and Neutering Saves Lives." This slogan illustrates the fallacy of "Wishful Thinking". Wishful thinking is a belief that something is true because it or its consequence is desired to be true. In reality, there is not a shred of evidence that spaying or neutering has saved even one life (with the exceptions of pyometra or testicular cancer). This is a fact, no matter how much we might like to close our eyes and wish it to be so. On the contrary, there are instances of dogs that have died during sterilization surgery. There are also studies coming to light that demonstrate that sterilization adversely affects health, and actually shortens the lifespan of dogs (and humans too). "If we don't spay and neuter all pets, then we will suffer from 'Pet Overpopulation'"
Again, there is no evidence to prove that any reduction of the unwanted pet population is linked to spay and neuter. Many nations do NOT have any crisis of pet overpopulation, even though few practice spay-neuter. And, shelters across the US are discovering that through implementation of No Kill techniques, they can save lives! This is done without extreme reliance on pet sterilization surgery. To quote a former president of the CVMA, Dr. John Hamil, "Being intact does not equate to being bred." A and B may just happen to occur together (coincidence). Neither is the cause of the other. A and B may be caused by another event, so that A did not cause B or vice versa. Maybe A did cause B, but such a conclusion must be verified by scientists or historians. Event "A" - an aggressive spay neuter campaign has been underway in the US for the past 40 years. Event "B" - shelter intakes have declined dramatically over the last 40 years. It is assumed that an aggressive spay-neuter campaign has resulted in declining shelter populations. However, during the same time frame, there has also been a very successful educational campaign about responsible pet ownership. Confinement and leash laws have been stressed, along with the knowledge that indiscriminate breeding is not desirable. In other words, it is not at all proven that high rates of spay-neuter are the reason for the decline in shelter intakes. It is entirely possible; no, it is LIKELY, that the reduction in pet population is due in large part to public education about the issue. The proposal that spay-neuter saves lives is also an "appeal to popularity" i.e. the "Bandwagon Fallacy". A popular fallacy is not true simply because it is widely presented as fact. Peer pressure and the acceptance of "common knowledge" does not foster logical reasoning. If spay and neuter saves lives, then abortion, hysterectomy and vasectomy must also save lives. Are all these premises (and the last statement itself) fallacies? You betcha! The US Government promoting Spay-Neuter as lifesaving is an "Appeal to Authority"; another fallacy of argument. HSUS and PETA skillfully present such false positions to influence public opinion. 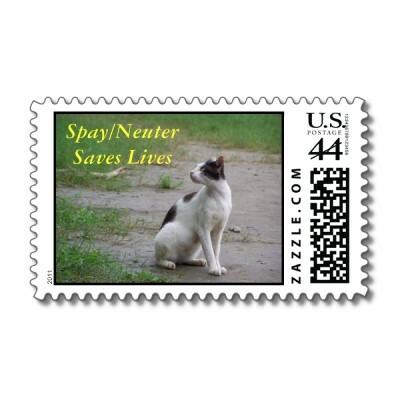 The US Government obviously knows NOTHING about this subject, but these stamps reinforce the popular misconception that "Spay Neuter saves lives!" As always, Frank Losey's investigative work is thorough and his insights keen. Here is Losey's latest update on the HSUS. HSUS = Hapless Shenanigans Under Suspicion. HAS THE HSUS "HIJACKED" THE APHIS OFFICE OF ENFORCEMENT?!?!?!? · Ms. Conant was employed by the HSUS as a Litigation Attorney immediately before she was hired by the USDA. · Ms. Conant first became associated with the HSUS when she was designated as an HSUS Litigation Fellow. · In 2007 Ms. Conant was featured and quoted in a Virginia Law Publication entitled "Humane Society Lawyers Fight Culture of Cruelty, Government Bureaucracy." One of her quotes included the statement that "Humane Society lawyers are working with legislatures and in the courts to change laws that affect the lives of farm animals," and that "they are forced to go state by state in this effort because there are very few federal laws regarding farm animals." · Ms. Conant was employed by the HSUS in the same HSUS Litigation Office which was so actively involved in the Litigation last year that challenged placing the Proposition B Ballot Initiative on the November 2011 Ballot in Missouri. · Ms. Conant worked in the same HSUS Litigation Office that sued the USDA under the Freedom of Information Act last October. This Lawsuit seeks personal, confidential and business sensitive information on every USDA Licensed Breeder in Missouri. · Ms. Conant is listed as the Vice Chair of the Animal Law Section of the DC Bar, and is listed as representing the HSUS with no reference to the position that she currently holds with USDA. While some may suggest that Ms. Conant has appropriate qualifications to act as the Chief of the Enforcement Section of APHIS, I personally and professionally believe that an egregious "Conflict of Interest" exists. In this regard, Rule 1.11 that is published by the American Bar Association specifically addresses "Conflicts of Interests For Former and Current Government Officers and Employees." The relevant language states: "a lawyer currently serving as a public officer or employee shall not participate in a matter in which the lawyer participated personally and substantially while in private practice or nongovernment employment, unless the appropriate government agency gives its informed consent, confirmed in writing." This is why a FOIA Request was submitted for a copy of the USDA "Informed Consent Document," or a comparable "Conflict of Interest Document." In the Practice of Law, some would consider a Breach of the "Conflict of Interest" Standard to represent a serious issue that involves "Legal Ethics." · First Dash: On Monday, July 11, 2011, I received confirmation from the IRS that it had assigned a Case File Number (2011-010153) for the American Society for the Prevention of Cruelty to Animals (ASPCA). Perhaps, just perhaps, someday the ASPCA will look back in the next year or so and wish that it had not thrown its "lot" in with the HSUS; that it had not contributed nearly $600,000 to the Proposition B Campaign in Missouri; that it had not been a Charter Supporter of the current and on-going "Your Vote Counts" Ballot Initiative Campaign in Missouri; and that it had not "hired away" from the HSUS Ms. Nancy Perry to fill its newly created position of Senior Vice President for Government Relations for the express purpose of overseeing the lobbying activities of the ASPCA in all 50 States, as well as at the Federal Level. · Second Dash: On Tuesday, July 12, 2011, I received confirmation that the Inspector General of the USDA (USDA IG) had received a Fraud, Waste and Abuse Complaint that included a Freedom of Information Request for a "Conflict of Interest" Statement concerning Ms. Sarah L. Conant. While there is no guarantee that the USDA IG will find wrongdoing on the part of Ms. Conant, the potential exists that the revelation about the specific duties that she performed on behalf of her prior employer could prove to be a major source of embarrassment for the USDA, and could "taint" the integrity of every single adverse action and all assessed fines against Breeders that occurred on "her watch." In this regard, Government Employees are expected not only to avoid "Conflicts of Interest," but are expected to avoid any appearance of a "Conflict of Interest." This scenario raises Issues of "Legal Ethics" - - both for the USDA and Ms. Conant who is an attorney. · Third Dash: On Wednesday, July 13, 2011, I received confirmation that the APHIS FOIA Office had received a FOIA Request for "information" concerning Ms. Conant, and that the APHIS FOIA Office has assigned Case File Number 11-645 to this FOIA Request with a suspense date of August 10, 2011 for its response to the FOIA Request. Since it has been the HSUS that was submitting all of those FOIA requests for information about Missouri Breeders, it sure will be interesting to see if the HSUS objects to the release of information concerning Ms. Conant's duties while she worked for the HSUS. My oh my, won't it be interesting to see how APHIS responds to a FOIA Request that might prove to be more than a "bit embarrassing." When a breeder does not comply with the "Rules," there are consequences. When a Government Employee does not comply with the "Rules,"…………………….. Well, we'll just have to wait and see!!!!! Three Little "Dashes" and a "Pinch" of a "No I am not dreaming!" The second Week of July brought a big smile to my face! 3. Add your name, address and E-Mail address on E-Mail Form for your U.S. Representative; and on the Subject Line add: Request the Inspector General and the IRS Investigate the HSUS; and then add then add the message set out below. 6. Add your name, address and E-Mail address on E-Mail Form for your U.S. Representative; and on the Subject Line add: Request the Inspector General and the IRS Investigate the HSUS; and then add then add the message set out below. "The IRS has received voluminous documentation that substantiates that the Humane Society of the United States (HSUS) - - a Public Charity - - has engaged in excessive, prohibited, and under-reported lobbying activities, and may have under-reported its revenue by over $500 Million. Significantly, the HSUS President and CEO has repeatedly stated that he has "helped to pass perhaps 1,000 laws." Treasury Department, Six U.S. Representatives (Hartzler, Emerson, Luetkemeyer, Graves and Long from Missouri, and Young from Alaska) stated: "we write to request investigations by the Inspector General into HSUS's apparent improper activities and its tax-exempt status." They further stated: "If the HSUS is not complying with the law, it should be investigated and disciplined just like any other organization." With a National Debt of Trillions of Dollars, our Government needs to maintain the integrity of the U.S. Tax Code. As your constituent, I am requesting that you confirm that you have sent a similar letter on my behalf to the Inspector General of the Department of the Treasury. Collectively, we can make a difference, and put the HSUS on the defensive. If the HSUS can generate Millions of E-Mails to Members of Congress, surely we can generate hundreds of E-Mails from each and every State. Let's do it! 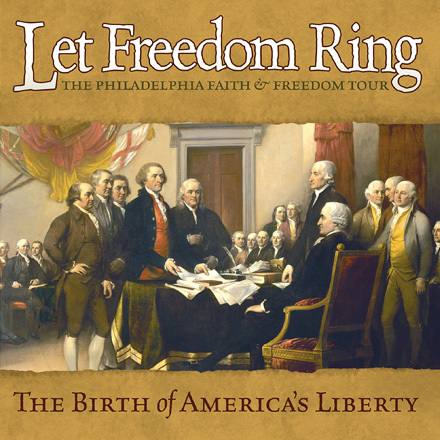 Philadelphia Freedom? Not likely under a new animal ordinance. Passed in May, and effective immediately: All "adoptions" from shelter/rescue and dogs sold at retail must be sterilized. (police, service and competition dogs exempted). Agency may order an animal retailer to cease operations for up to one year from the date of a violation. Some provisions in this ordinance sound eerily similar to the Title 10 ordinance in LA, including the requirement for kennels to have staffing for 18 hrs per day. However, the mandatory sterilization requirement in LA applies to every owned dog. Does the "sold at retail" provision apply to private parties (i.e. small home breeders)? According to the definition included in the ordinance, it just might apply depending on what is considered a "business". If you deduct your expenses for tax purposes, are you a "business"? ultimate owners of such dogs or cats, including but not limited to a pet shop kennel under the Dog Law, and a dealer, to the extent such dealer engages in the retail sale of dogs or cats. As in LA, the requirements necessary to qualify for an exemption as a "competition" dog have not been cearly defined. See page 15-16 for the MSN requirements. But wait! As if that mandatory sterilization law is not enough to make you want to move to some freer nation (Mexico perhaps? ), there are yet more chilling new rules now in effect under this ordinance. Now veterinarians must verify dog licensure in order to treat the animal. And, a seller reporting requirement sounds strangely similar to a bill currently in the California legislature, AB 1121, that mandates "pet dealers" report the details of their sales to the local licensing agency. that must be licensed under this Section from an animal retailer or animal shelter shall submit an application and the applicable fee for such license to a dog licensing agent or the Animal Control Agency as a condition of obtaining the dog. No animal retailer or animal shelter shall release a dog to a person unless such person has submitted a license application and applicable fee. (b) Licensing Upon Provision of Services. Whenever a veterinarian, veterinary hospital, boarding kennel, or groomer provides services for a dog that must be licensed under this Section, such service provider shall verify that the dog is licensed. Can you imagine how many dogs will not be treated when they need it? Bad enough to make vets report their rabies vaccinations to the state, but now for veterinarians to be the licensing police?? All this out of a city that saw the signing of the Declaration of Independence, the assembly of the Continental Congress, and that was the seat of the new Republic in the 18th century. All traded away for Gestapo-style tactics aimed against the citizenry. A sad reflection on how far we have strayed from the freedoms which founded our nation. The State of California PAYS FOR FAILURE - reimbursing shelters for animals that have been "euthanized" in shelters (i.e. KILLED) but NOT for animals that have gotten out of the shelter alive (returned to owners or adopted). support animal adoption is a disincentive to saving lives. shelters' cost to care for them for three additional days was a state-reimbursable mandate." to claim $23 million for this mandate." promoting adoptions receive the least state funds." What incentive do shelters have to do a good job? As you can see, NONE. It's very quick and profitable to just kill and get paid by the state for doing it. PETArd Judie Mancuso poses with her legislative lackeys at a "Social Compassion in Legislation" award event in June 2011. (left to right) CA Assemblyman Mike Gatto, West Hollywood City Councilmember John D’Amico, LA City Councilman Paul Koretz, CA Senator Kevin de León, "retired" CA Assemblyman Pedro Nava, lobbyist Judie Mancuso, CA Senator Ted Lieu, LA City Councilman Tony Cárdenas, and CA Assemblyman Jose Solorio. ....these are the order of the day. and prevent them from legally possessing any animals for YEARS! prohibit you from having any contact with animals for 5 to 10 years! in Virginia. They also wish to separate people from animals completely. statewide law failed due to public outcry. dedicated to promoting laws that place animal rights above human rights. mandatory sterilization and numeric limits on animal ownership. projects are intended to reduce overall pet ownership and animal agriculture. Animal Rights means No Animals Left. who respect our rights to animal ownership and stewardship.